The invitation time was 5:30 p.m., yet the call time for our staff was 7:30 a.m. It was going to be a long day of setting up for the Broward Center for Performing Arts' New York City-themed celebration. The Artisan Foods staff worked alongside audio-visual, programming and Foundation staff to perfectly set the stage for "Live from the Broward Center, it's Saturday Night", with Dennis Miller, featuring Rob Schneider, Darrell Hammond, and Jon Lovitz. And no pun intended... we were serving 350 seated guests at round tables on the Au Rene Theatre stage! 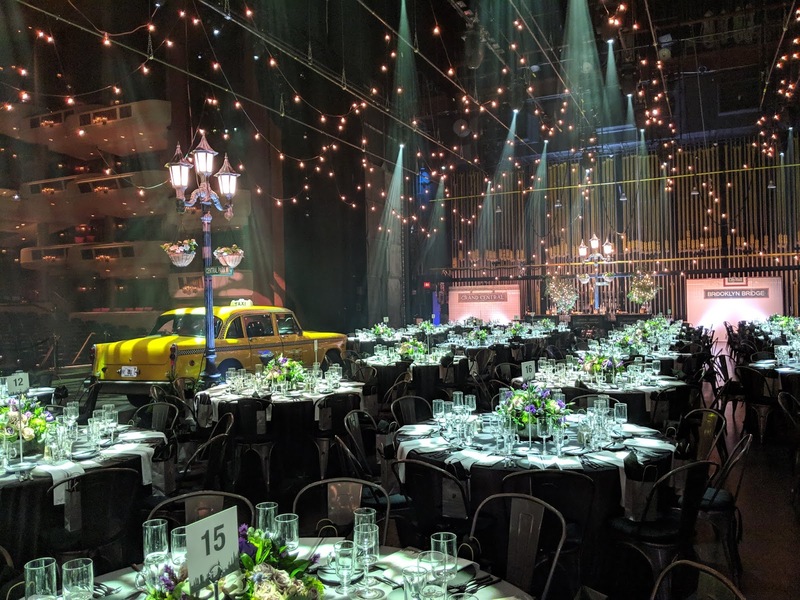 Dozens of pin spots and string lights illuminated tables in the cityscape scene, with an NYC Taxicab parked downstage at the corner of Broadway and Central Park West. 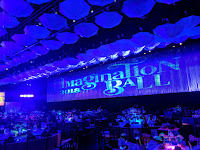 Street lamps in the wings of the stage signaled the bar areas situated in between subway-tiled backdrops of notable trasit stations like Madison Square Garden and Times Square. 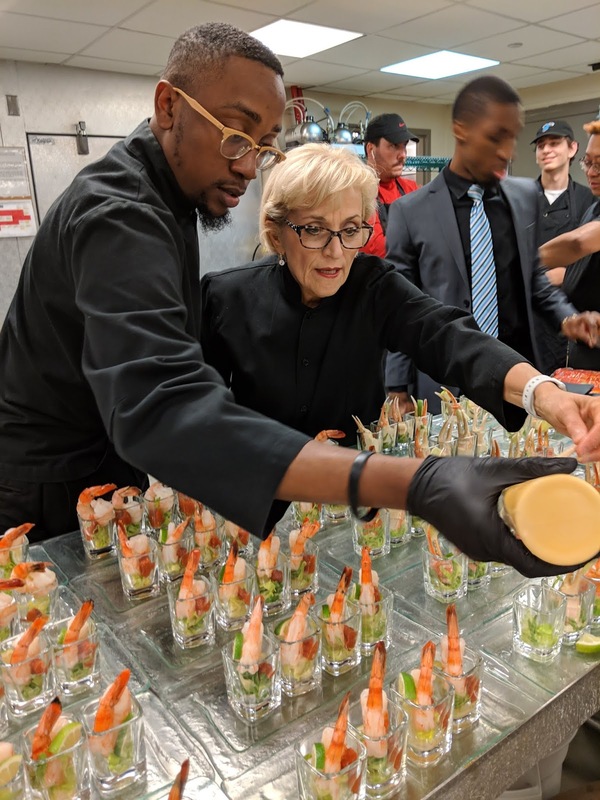 At the 3:30 p.m. shift meeting overlooking the Wendt Terrace where our passed hors d'oeuvres would be shortly served along with our classic hot dog cart stocked with vintage glass soda bottles, our custom catering team was provided an overview of the evening's flow. 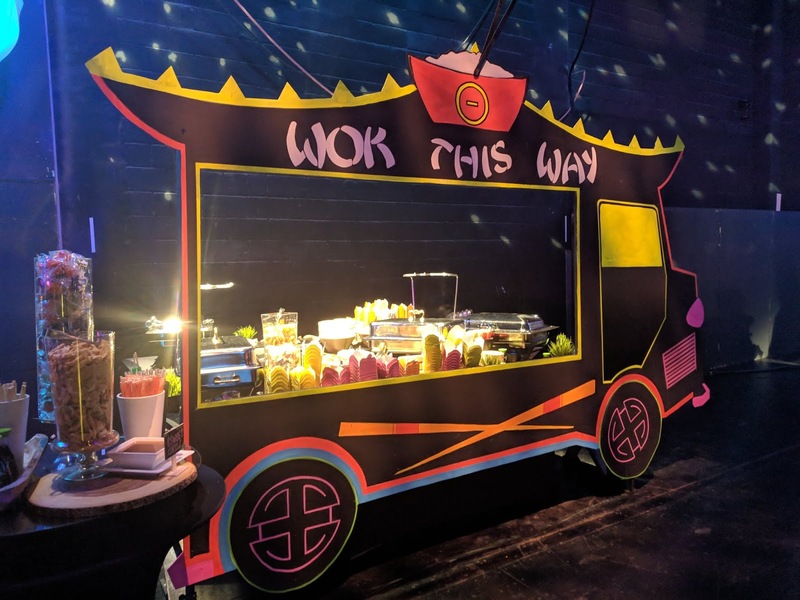 A freshly prepared shift meal (and optional ice cold Red Bull) was provided, and server attire was primped before walking through the venue's backstage to review the night ahead. Server stations were identified and table settings were perfected. Attendees would soon arrive, and the Artisan team took to the Marti's Bistro Kitchen like a well-oiled machine of plating the variety of passed samplers for the first part of the program. 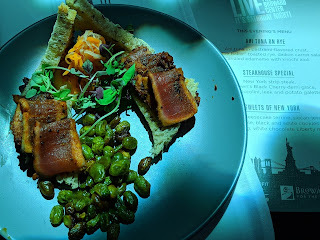 Guests arrived to a photo opportunity aside a model Statue of Liberty, and were welcomed with a rotation of our delicacies. Our lean and melty Reuben and fresh-from-the-oven potato knishes helped set the tone for the night. 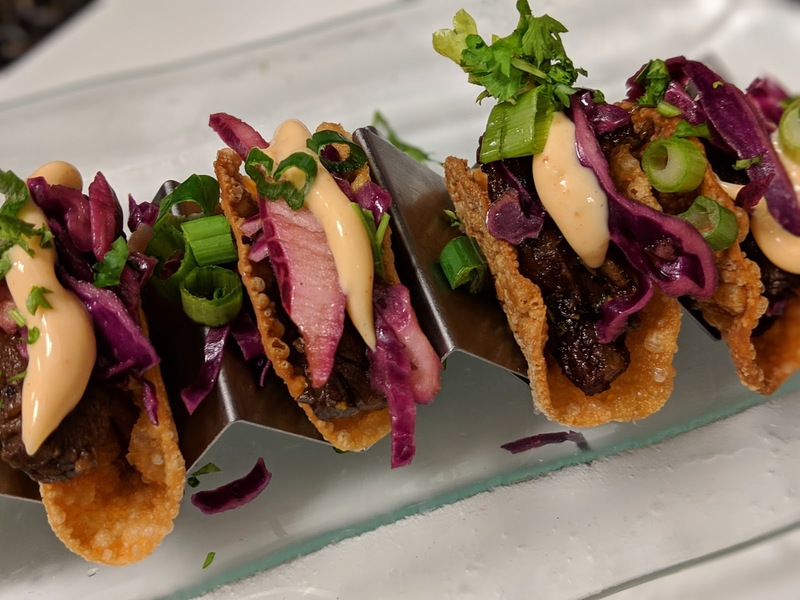 Representing the diverse New York food scene, international flavors like our Korean skirt steak tacos and Hearts of Palm ceviche were crowd pleasers, along with the interactively served cold-smoked Thumbelina carrots. The theatre staff signaled for guests to enter the theatre before we knew it. 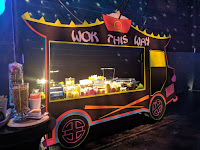 Our team knew exactly where to go, and what to do to convert the scene seamlessly to the next part of the evening. 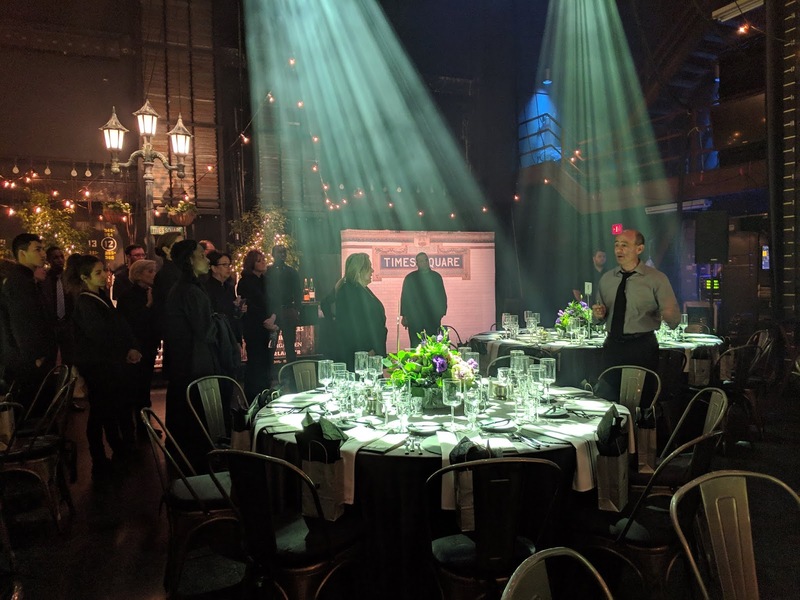 Without a sound heard in front of the curtain, our team of culinarians and servers waited patiently backstage with a strategy in place. Once the four comedians finished their sets, some announcements and a welcome by Broward Center administration were our cue to (quietly and) beautifully set the first course atop each of the 350 chargers already on the tables just behind the stage's curtain. The guests had a night full of laughs, and our showtime was still beginning. 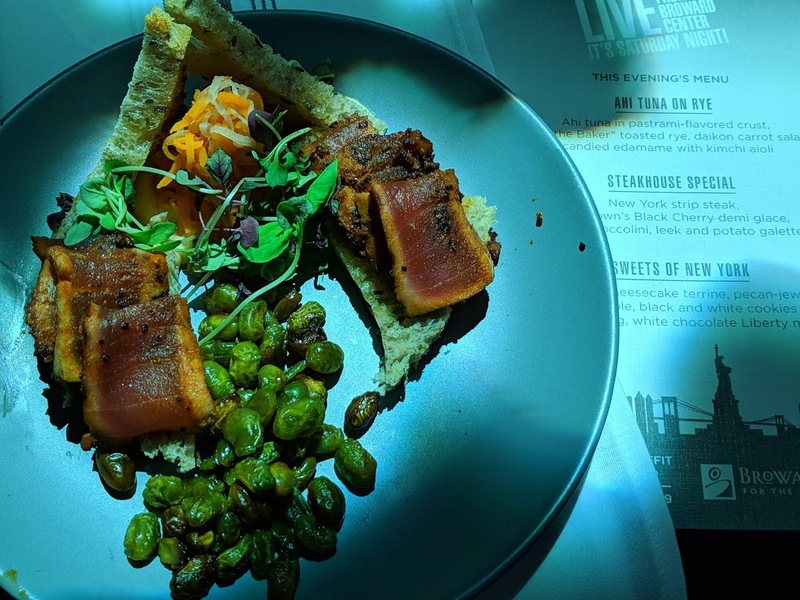 Our "Pastrami-crusted Ahi Tuna on Zak the Baker rye bread" twist on the classic sandwich would welcome the attendees to the thematic stage after a dramatic rising of the curtain. 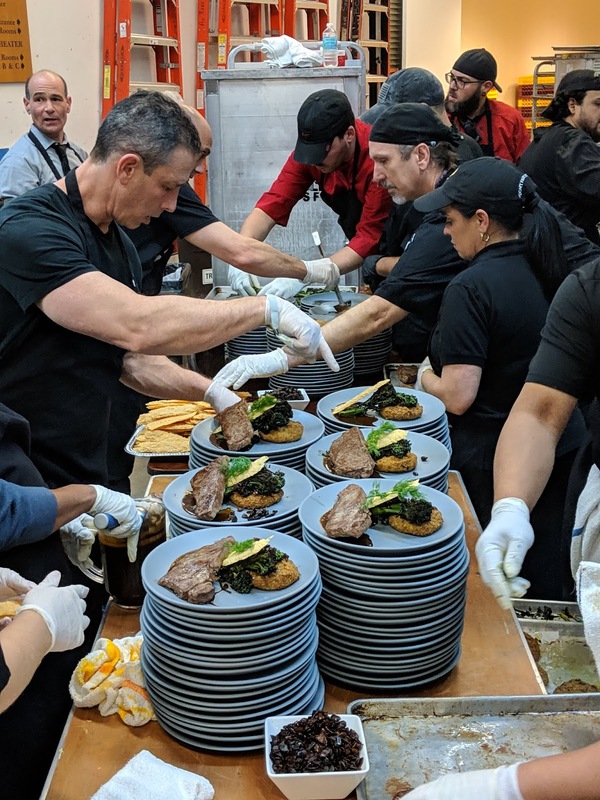 Our culinary operations had moved from the Bistro to backstage, where work tables stacked with plates, containers of Dr. Brown's Black Cherry demi-glace, and microgreens were ready to meet the New York strip steaks, burnt broccolini and potato-leek galette in our portable ovens. Without any reminders, our team took their places ready to take the stage. Two adjacent assembly lines worthy of any factory were formed, in a symphonic pattern with all hands on deck. 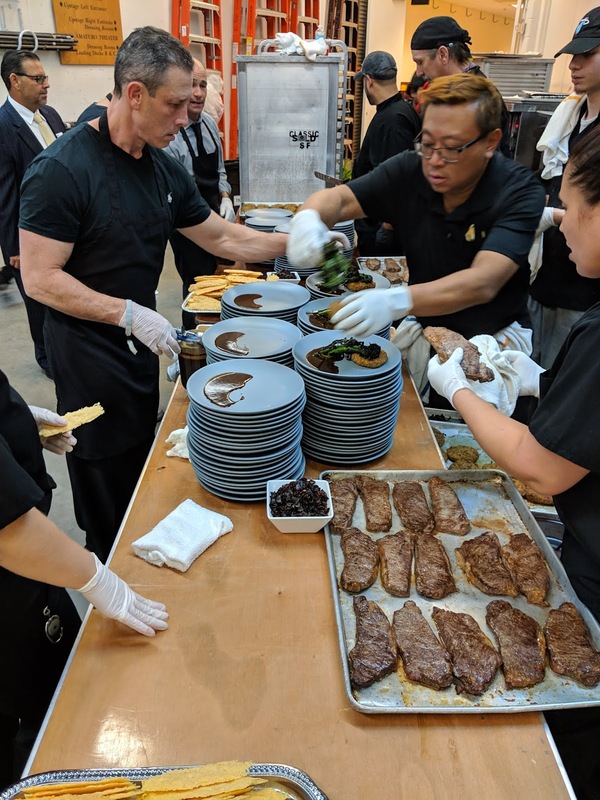 Our service team would come back to the culinary team with murmurings of "oohs and aahs" overheard tableside. Special requests were met for any dietary restrictions. The second course plates were later removed as the guests began to explore the scenery and seek out libations. Napkins were nicely refolded and water glasses were always full. 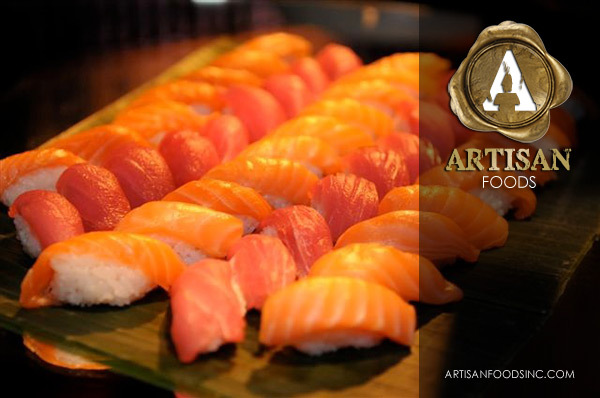 We are always producing on- and off-premise catering events, and whether there are 75 guests or 400, we always aim for the 5-star reviews. We are incredibly proud of our trained professionals, recognizing our greatest assets in this industry. Whenever we are involved in gourmet cuisine events of this scale, however, it is refreshing that the quality of special event catering service our patrons have come to expect on stage matches what we as a company can proudly boast behind the scenes as well. 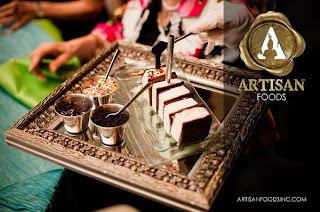 The Artisan Foods brand has been bringing flavor across tri-county lines for some time, catering events at various venues in the south Florida area. In addition to our residence at Temple Solel of Hollywood, and our food service at the Broward Center for the Performing Arts, we will be the in-house catering partner at Temple Beth El in Boca Raton beginning January 1, 2019. This exciting news comes in the height of the new season which has been an already been an quite active! 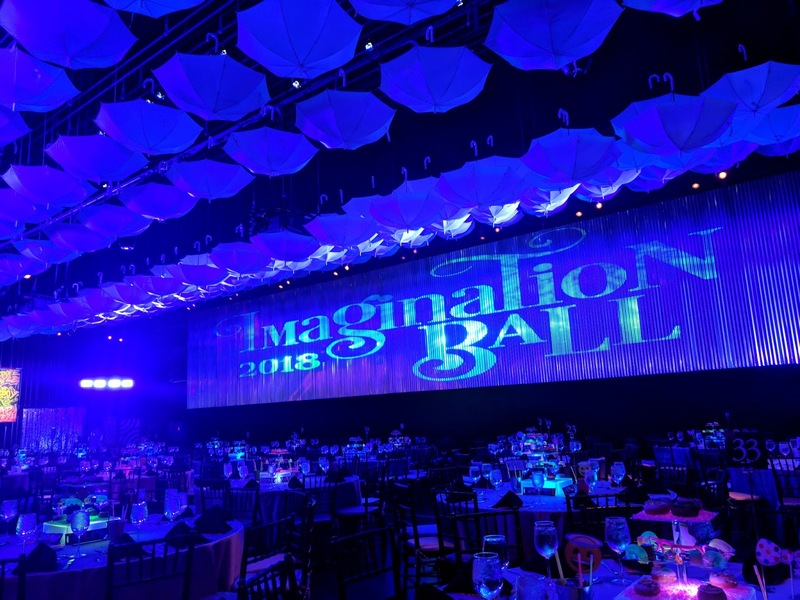 We were honored to serve at Arsht Families' Children's Imagination Ball at the Adrienne Arsht Center on Sunday, October 14. 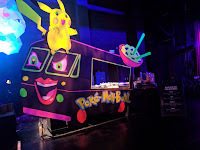 It was a family-centered event that could only happen in a city like Miami, featuring a show-stopping performance by the tech-dance troupe iLuminate. It is always a good time when we get to collaborate with the client on decor. 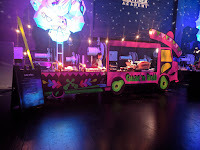 Our innovative menus of kid-approved food and desserts came to life with glowing colors in a "food truck" setting. 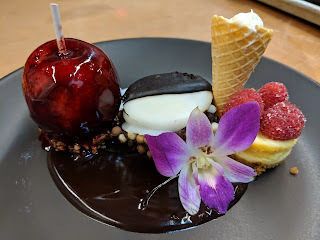 Eating well, and loving well are what our wedding events are all about. We've had the privilege to serve at some beautiful weddings since our season began. Among those was the wedding of one of our very own. 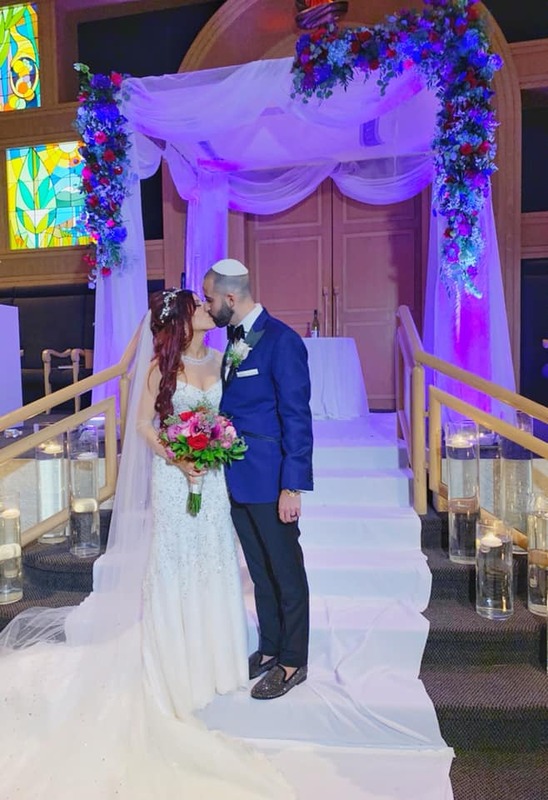 Wishing a heatfelt Mazel Tov to Mr. and Mrs. Louis Berk. May your life together always be a blessing. It is truly a blessing for our team to work alongside some of the industry's best in the business. Giving major shout outs to Marjy & Andy, Emily Harris Photography, Mavila Photography, SVE Productions, Dalsimer Atlas, Pure Energy Entertainment, Triple P Entertainment, Rock With U and so many more we get the priviledge to work alongside each week. 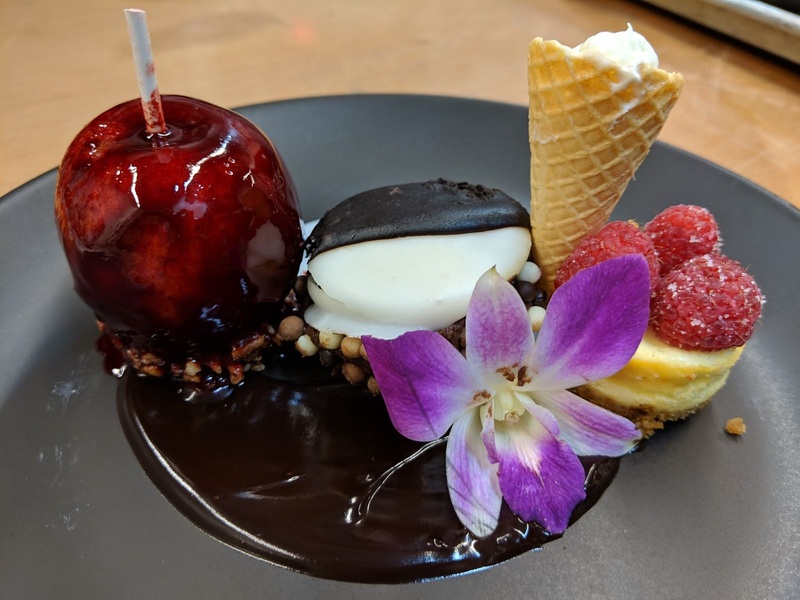 This Thanksgiving, try bringing one of Chef Andrew Kollwitz's seasonal favorites to your holiday table. Bring wine, oil, salt, juice, red pepper, sugar, bay leaves and 32 cups of water to a boil in a large pot. 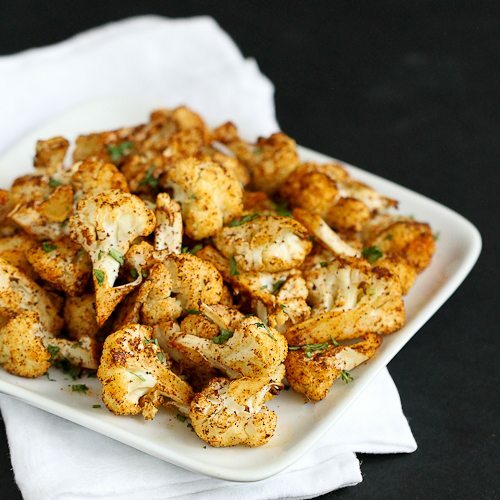 Add cauliflower, reduce heat and simmer, stirring occasionally.